OnStage Magazine has an official presence at SXSW this year. On Wednesday, March 12, we attended SLASHATHON: the first-ever artist-focused hackathon, where teams were challenged to develop new music promotion technology in a period of twelve hours before presenting a live demo. The entire event was covered on Livestream. 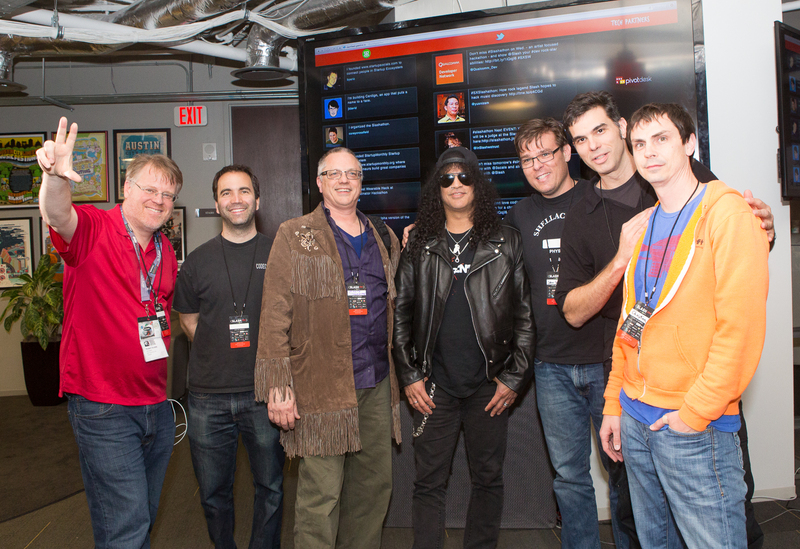 Presiding over the panel of judges was legendary Guns N’ Roses guitarist SLASH, along with BitTorrent’s Bram Cohen and Microsoft/Rackspace pioneer Robert Scoble. The event was hosted by Geeklist, a global community of tech developers. First place went to SLASH TV, which allows fans to create music videos for new albums on their cell phone. Runners-up included Pretune, which reveals a new song in increments based on levels of fan engagement, and Crowdroar, which provides real-time feedback on crowd decibels during a show. 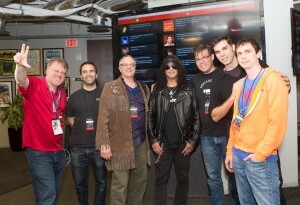 Winners took home $1000, a Gibson guitar signed by SLASH, and the opportunity to have SLASH use their tech in promotion of his upcoming album. SLASH made a second appearance on Thursday, March 13, performing alongside other guitar greats in a tribute to Jimi Hendrix at Butler Park.